Prices (season 2018) plus local tax. Discount for members of ÖCC, CCI and ADAC-Camp Card with your valid membership card of 10% on all person- and vehicle-related positions (local tax and deposit excluded) already from a stay of one night! 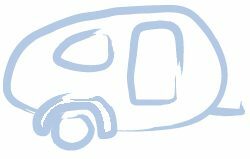 A “pitch” is needed for one caravan or one motorhome or one tent. ACSI-flatrate from 15.04. to 30.06. and from 01.09. to 31.10., without from 18.05. to 28.05.2018) € 19,00/night (caravan, 2 adults, car, electricity, sanitary, children up to 5 years), price incl. VAT, plus local tax. ADAC Camp-Card-flatrate as well as ACSI-conditions. for Campingpods there’s no flatrate, but 10 % discount at the specified periods.. Discounts for year round camping – please ask for our conditions.